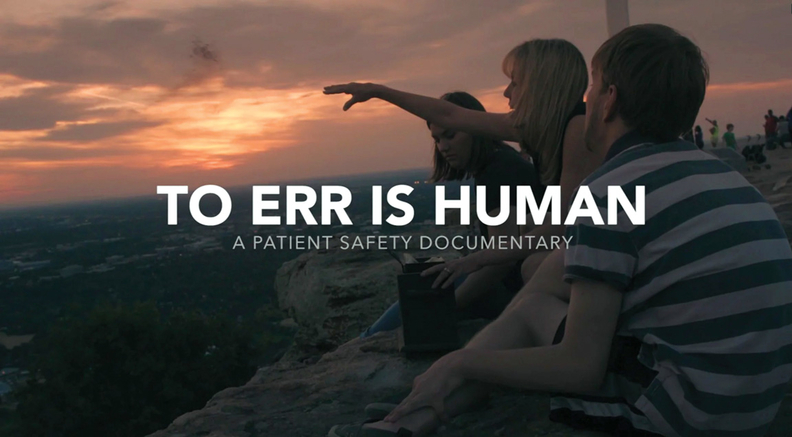 In 1999, the Institute of Medicine released “To Err is Human,” a landmark report on patient safety asserting that medical errors kill 44,000 to 98,000 patients every year. Now nearly 20 years later, the son of a leading patient-safety advocate has directed a documentary with the same title. It cites even bigger numbers of deaths from “preventable adverse events”—up to 440,000 a year, based on a 2013 study in the Journal of Patient Safety. Mike Eisenberg is also editor and producer of the film, which explores medical mistakes as a “silent epidemic” and follows those working to improve patient safety behind the scenes. The movie is dedicated to the filmmaker's father, Dr. John Eisenberg, an early leader of patient-safety efforts who was a director of the Agency for Health Care Research and Quality. “Through this film, we hope to carry on (Eisenberg senior's) legacy by providing a productive look at healthcare quality today and how we can do better, rather than presenting a 'gotcha' documentary,” Mike Eisenberg says of the film's mission on its website. The documentary features hospital executives, healthcare leaders, health professors and families severely affected by medical mistakes. The Tall Tale-produced film has been screened at universities, festivals and agencies across the country and is expected to be released to the public this year.